A new commercial launched by the department store Åhléns depicts a father reading to her daughter an excerpt from Pippi Longstocking, a cult children's book by Astrid Lindgren, in a foreign language, which the news outlet Samhällsnytt identified as Dari, a variant of Persian spoken primarily in Afghanistan. No Swedish subtitles have been provided for the ad. The ad is part of Åhléns's new campaign "Have a Nice Time". Åhléns's foreign language initiative triggered negative feedback in the social media. "Saw a commercial on TV4 from Åhléns where a dad reads Pippi Longstocking to his daughter. In a MENA language. Why?" a woman exclaimed on Twitter. To this another user sarcastically replied "Åhléns has got the idea that educate us bad Swedes". "Perhaps Pippi has become Muslim", another Twitter user ventured. "Just saw a short ad for Åhléns on TV4, where a father reads a bedtime story to his daughter in a language that no Swede understands. Okay, it's not aimed at the Swedes, but wouldn't it be better for immigrants from the Middle East to learn Swedish? SIGH!" another angry Swede voiced his irritation. Even Åhléns's Facebook page was flooded with criticism. "In Sweden we speak Swedish. All the ads should be in Swedish. I am Polish myself, but I get to hear Polish on Polish TV!" a user wrote. Another trend was to accuse Åhléns of wishful thinking. "Muslims do not read bedtime stories about Christians and infidels to their children. Is this Afghan? Afghan families hardly exist in Sweden. It is Afghan men and men only. Go to hell with your PC lies, Åhlens!" another user boomed. "Pippi Longstocking is a tough, independent and questioning girl (who would never ever agree to put on a veil). I guess she is hardly an idol in cultures where girls and women should keep their mouths shut and obey," a user chimed in on Twitter. To add insult to injury, may users threatened to boycott Åhléns over the perceived lack of respect for Swedish customers. This is not the first time Åhlens has landed in hot water for its advertising gimmicks. Last Christmas, the department store wrongly claimed that Santa Claus was Turkish in order "to punch holes in the myth of the Swedish Christmas". A few years ago, Åhléns raised a storm with its decision to front its magazine with radical feminist Kakan Hermansson, who is highly controversial in Sweden for her combative stance against "patriarchy". 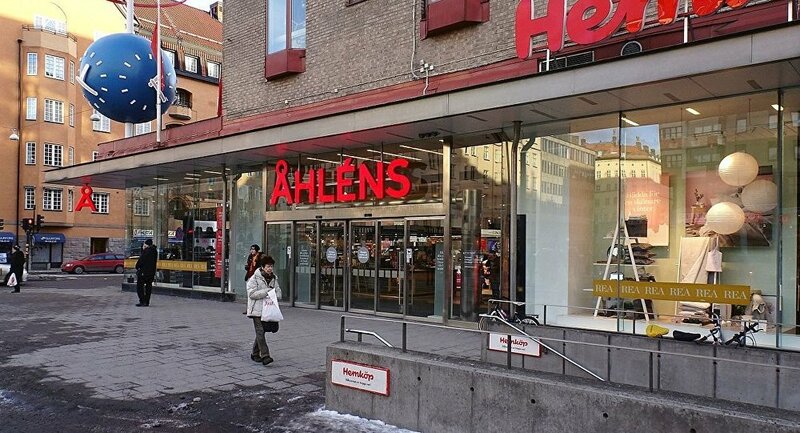 Founded in 1899, Åhléns is a chain of Swedish department stores. With locations in almost every city in the country, including more than a dozen in Stockholm alone, it is one of the largest fashion stores in Sweden.